The big question now is whether the report contains allegations of wrongdoing by Donald Trump himself or exonerates him. Robert Mueller had been examining if Trump's campaign conspired with Russia to try to rig the election. Special Counsel Robert Mueller on Friday handed in a confidential report on his investigation into Russia's role in the 2016 presidential election and any potential wrongdoing by U.S. President Donald Trump, setting off a clamour from lawmakers in both parties for the document's quick release. Marking the end of his nearly two-year investigation that ensnared former Trump aides and Russian intelligence officers and cast a cloud over the Republican businessman's presidency, Mueller submitted the report to Attorney General William Barr, the Justice Department said. Mueller did not recommend any further indictments, a senior Justice Department official said, in a sign that there might be no more criminal charges against Trump associates arising from the investigation. Throughout his investigation, Mueller has brought charges against 34 people and three companies. The big question now is whether the report contains allegations of wrongdoing by Trump himself or exonerates him. Mueller, a former FBI director, had been examining since May 2017 whether Trump's campaign conspired with Moscow to try to influence the election and whether the Republican president later unlawfully tried to obstruct his investigation. Trump has denied collusion and obstruction. Russia has denied election interference. Trump has sought to discredit the investigation, calling it a "witch hunt" and accusing Mueller of conflicts of interest. But he said on Wednesday he does not mind if the public is allowed to see the report. The report was not immediately made public. Barr, the top U.S. law enforcement officer and a Trump appointee, will have to decide how much of it to disclose. Barr told lawmakers in a letter he may be able to provide the "principal conclusions" of Mueller's findings to Congress as soon as this weekend and added that he was "committed to as much transparency as possible." Under regulations governing special counsel investigations, the attorney general must share an outline of Mueller's report with Democratic and Republican leaders of the judiciary committees in Congress but it is largely up to him what to make public. Key Trump aides, including his former campaign chairman Paul Manafort, national security adviser Michael Flynn and personal lawyer Michael Cohen, have already either been convicted or pleaded guilty to charges brought by Mueller. None of those charges, however, directly related to the question of collusion between the campaign and Moscow. The Justice Department has a policy that sitting presidents cannot face criminal charges. Lawmakers from both parties called for prompt release of the report. House of Representatives Speaker Nancy Pelosi and Senate Democratic leader Chuck Schumer - the two top Democrats in Congress - said it was "imperative" the full report be made public, that Barr not give Trump and his team a "sneak preview" of the findings and that the White House not be allowed to interfere in decisions about what parts are made public. They said the investigation focussed on questions that "go to the integrity of our democracy itself: whether foreign powers corruptly interfered in our elections, and whether unlawful means were used to hinder that investigation." Senate Majority Leader Mitch McConnell, the top Republican in Congress, said, "The attorney general has said he intends to provide as much information as possible. As I have said previously, I sincerely hope he will do so as soon as he can, and with as much openness and transparency as possible." The White House has not received or been briefed on the report, spokeswoman Sarah Sanders said, adding that "we look forward to the process taking its course." When the Justice Department announced the arrival of the report, Trump was at his Mar-a-Lago resort in Florida, where he met on Friday with a group of Caribbean leaders. Staff members at the private club were setting up for a Lincoln Day dinner fundraiser for a local branch of the Republican Party. Programs for the event featured an image of a $5 bill with 19th century President Abraham Lincoln sporting a red Trump campaign hat with the slogan "Keep America Great" on it. Donald Trump Jr., the president's eldest son, posted a picture on Twitter of his sons on a fishing trip. "Great day on the water with my little men for their spring break," he wrote. "The reports that there will be no new indictments confirm what we've known all along: there was never any collusion with Russia. The only collusion was between Democrats and many in the media who peddled this lie because they continue to refuse to accept the results of the 2016 election," Scalise said. The U.S. Attorney's Office in Manhattan is also looking at the spending of Trump's inaugural committee and business practices at the Trump Organization, the family's company. Mueller's investigators have looked into a large number of contacts between people associated with Trump's campaign and Russia such as a meeting in New York's Trump Tower between members of the president's inner circle including his eldest son and a Kremlin-linked Russian lawyer five months before the election. Mueller sought to determine whether the campaign coordinated with Moscow, though it was not immediately clear whether the special counsel found evidence of a conspiracy. Mueller also examined whether Trump committed obstruction of justice by trying to hinder the investigation, looking into acts such as urging FBI Director James Comey to drop a probe of Flynn's contacts with Russia, the subsequent firing of Comey, his attacks on the special counsel, dangling of pardons for former aides and the ouster of former Attorney General Jeff Sessions. 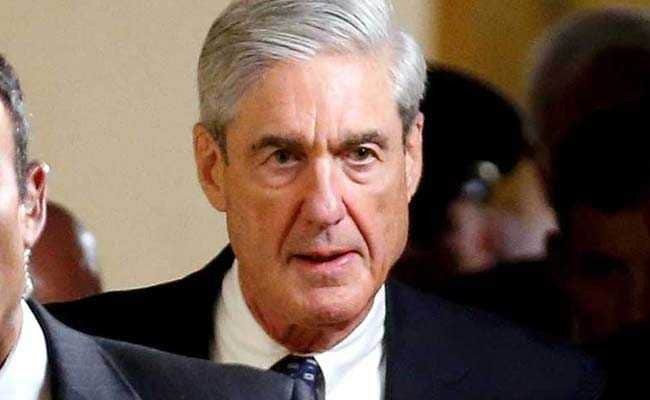 Mueller's team already has signalled the direction of the investigation through indictments and hundreds of related court filings that have offered extensive details about Russian interference in the election. Trump fired Flynn in February 2017 after it emerged he had misled Vice President Mike Pence and the FBI about his dealings with the then-Russian ambassador to the United States, Sergey Kislyak. In May 2017, he ousted Comey, whose agency had been leading the Russia investigation. Comey's firing led the Justice Department to appoint Mueller to take over the probe. A small number of House Democrats have pushed for Congress to impeach Trump and remove him from office but the party's leadership including Pelosi has urged caution. No president has every been removed from office via impeachment. The last president to be impeached by the House, Democrat Bill Clinton, was acquitted by the Senate in 1999 on charges of perjury and obstruction of justice, meaning he was not removed from office. In prosecuting Manafort, Mueller showed how the former campaign chairman made millions of dollars working for pro-Russian politicians in Ukraine, while also exposing his ties to a consultant who the special counsel said was connected to Russian intelligence. Manafort in the two cases prosecuted by Mueller's team was sentenced to 7-1/2 years in prison. The special counsel's case against Cohen revealed that Trump was negotiating to build a skyscraper in Moscow late into the 2016 campaign, contradicting statements from Trump at the time that he had nothing to do with the Russians. The special counsel also indicted longtime Trump adviser Roger Stone, a Republican operative and a self-proclaimed political "dirty trickster." Stone is accused of telling members of Trump's campaign that he knew in advance of plans by the WikiLeaks website to release emails damaging to Clinton that were stolen by Russia.